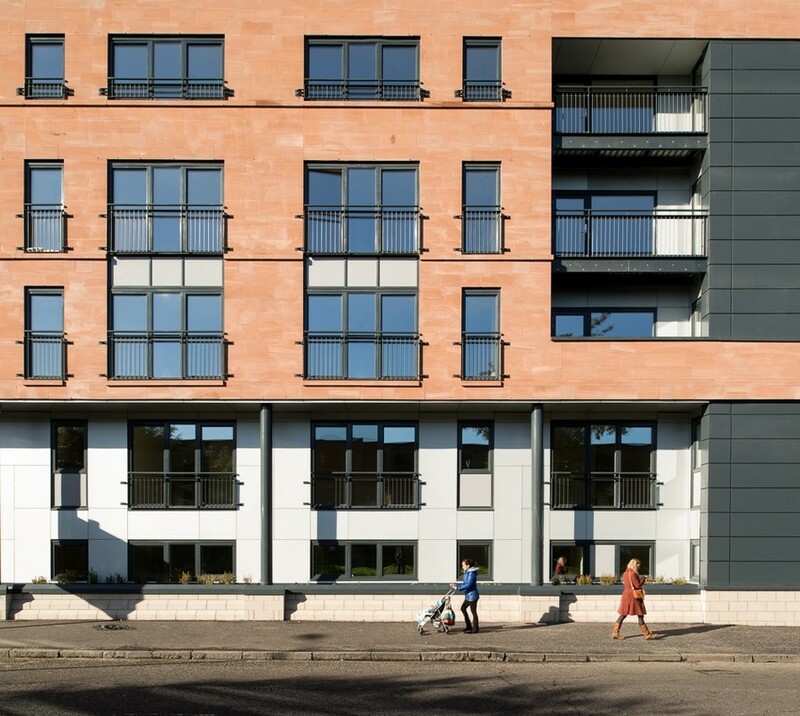 Situated at the junction of Cathcart Road and Butterbiggins Road, this 35-apartment development was designed to meet the needs of Govanhill Housing Association for one and two bedroom amenity housing, specifically for older or disabled people. 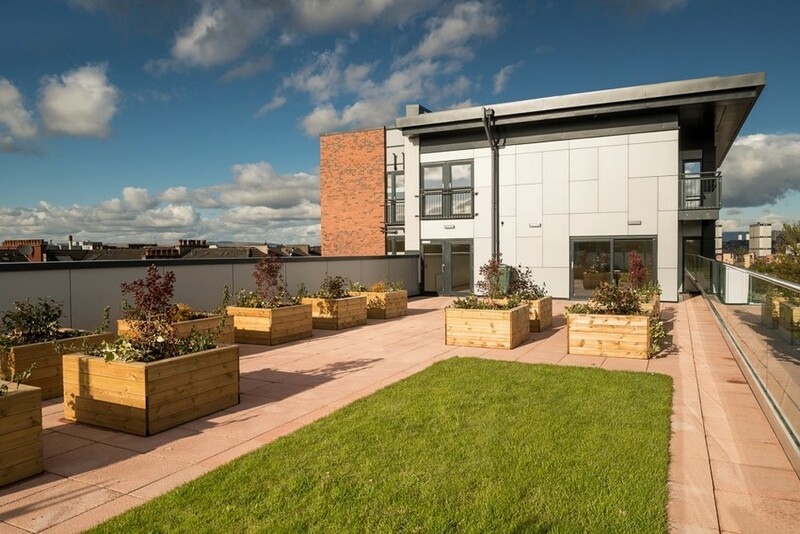 Large family wheelchair adapted flats were provided with their own private garden on the ground floor. 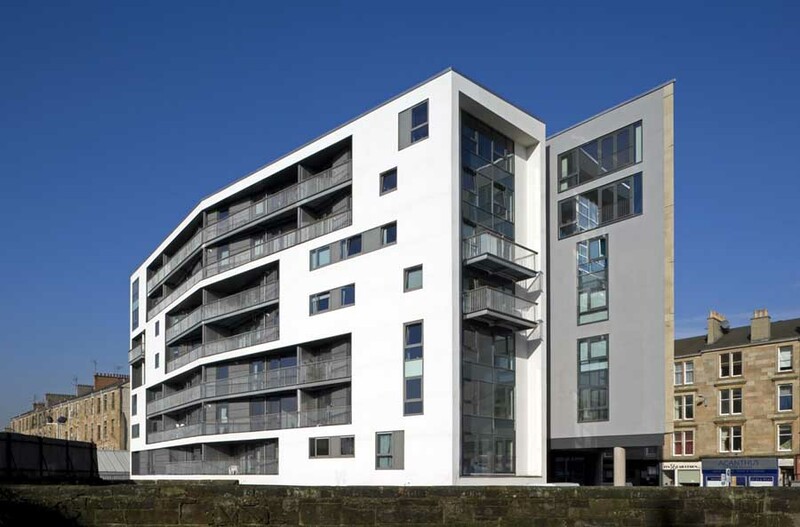 Lift access has been provided to all floors and rear deck access to upper floor flats offers circulation. 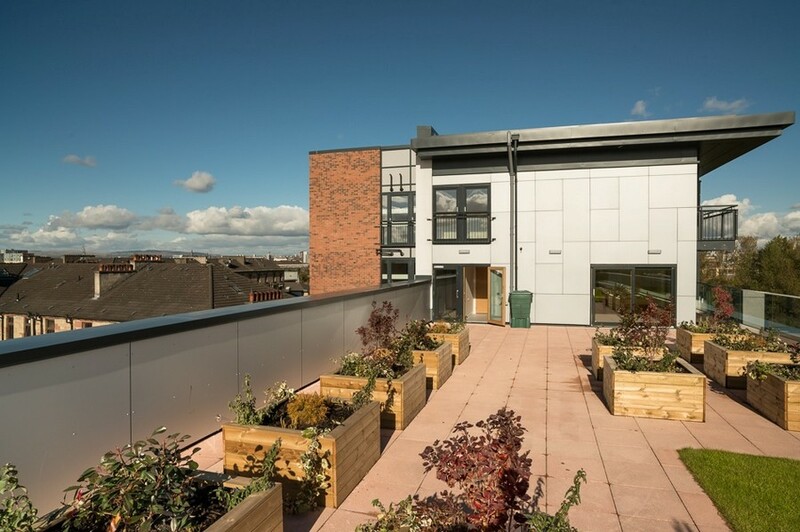 A private, secure garden amenity space, including communal drying facilities, raised planting beds and seating for the use of all residents was created at 5th floor level, offering commanding views over the cityscape. 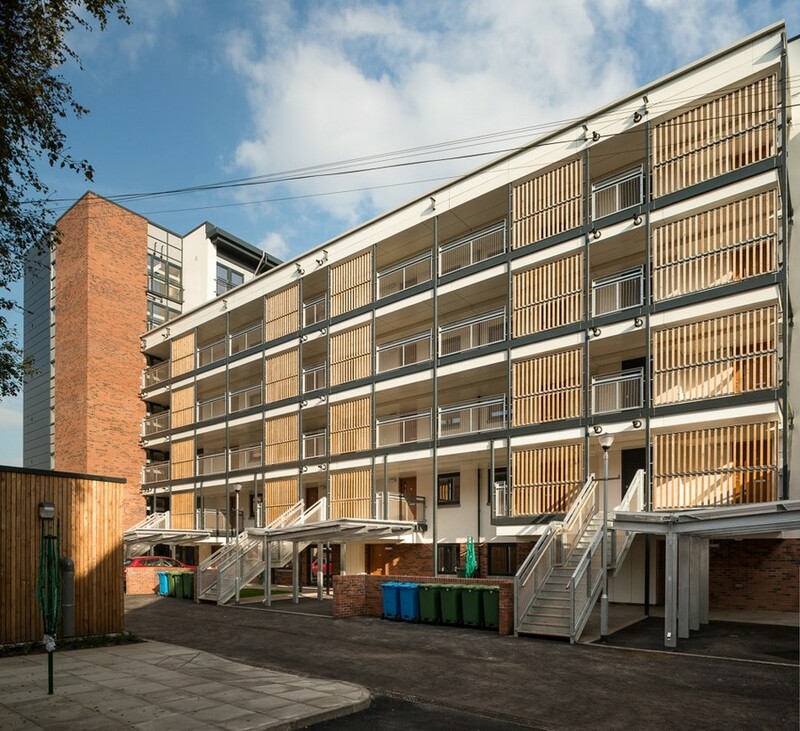 The completed development achieved a “Very Good” Ecohomes rating, a 15% reduction in CO₂ emissions (based on 2007 Standards) and also an A* Occupant Equivalent Rating for acoustic performance between dwellings. 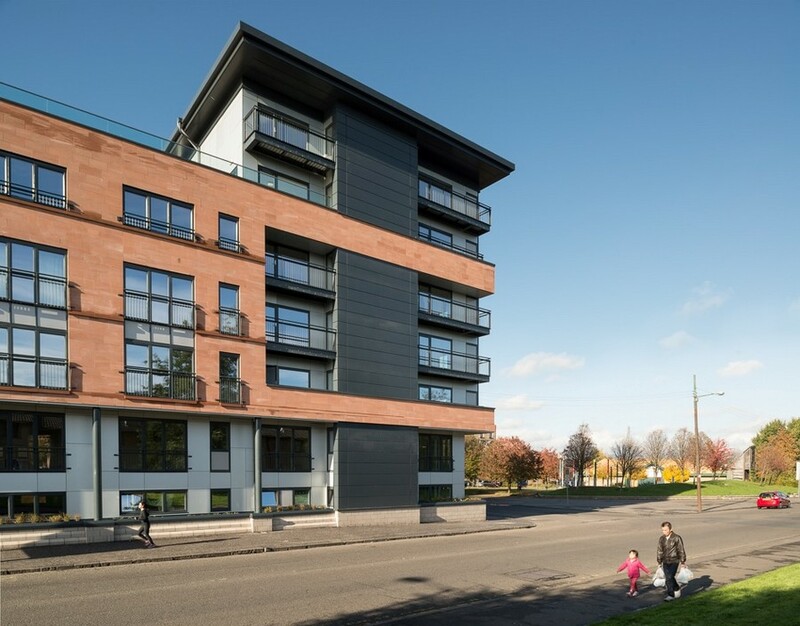 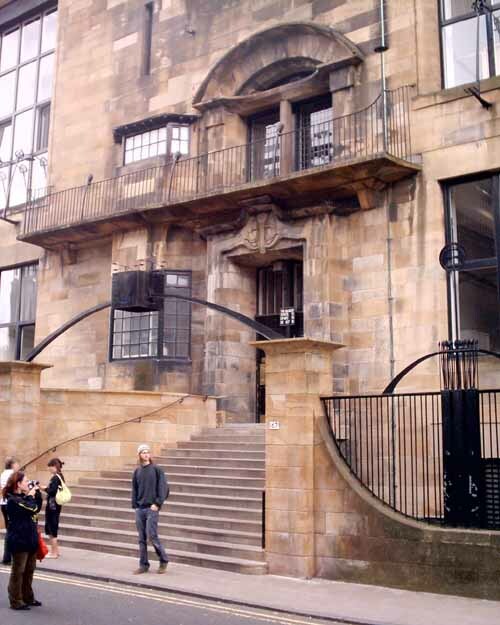 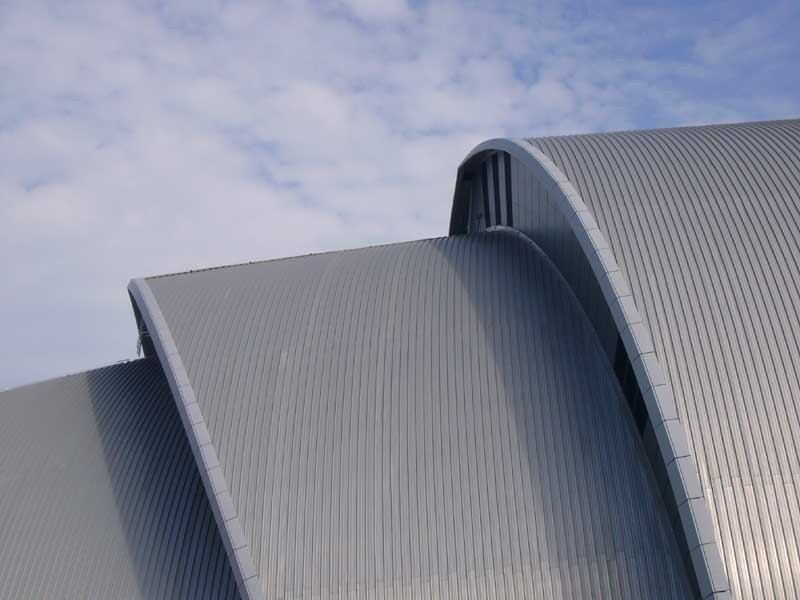 As a prime gateway site from the south side of the River Clyde to the North, extensive pre-application discussions with the Planning Department were entered into. 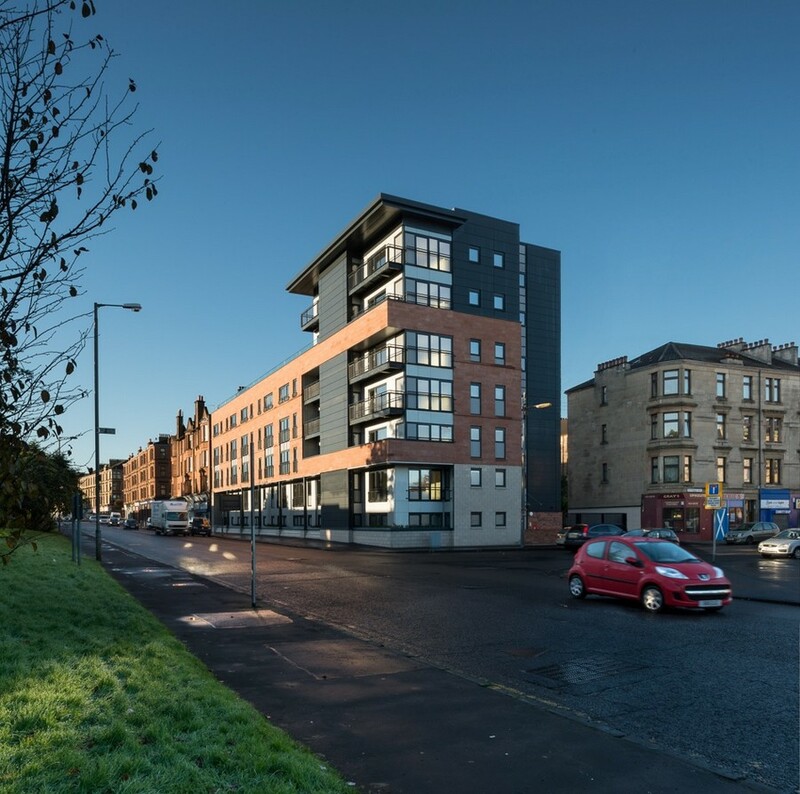 Testing a number of potential options, a bold design capable of holding such a site, that effectively marks a corner stop to the built up area of Govanhill, North of the M74, was reached and agreed by all parties to be an appropriate and effective response to the brief and the site. 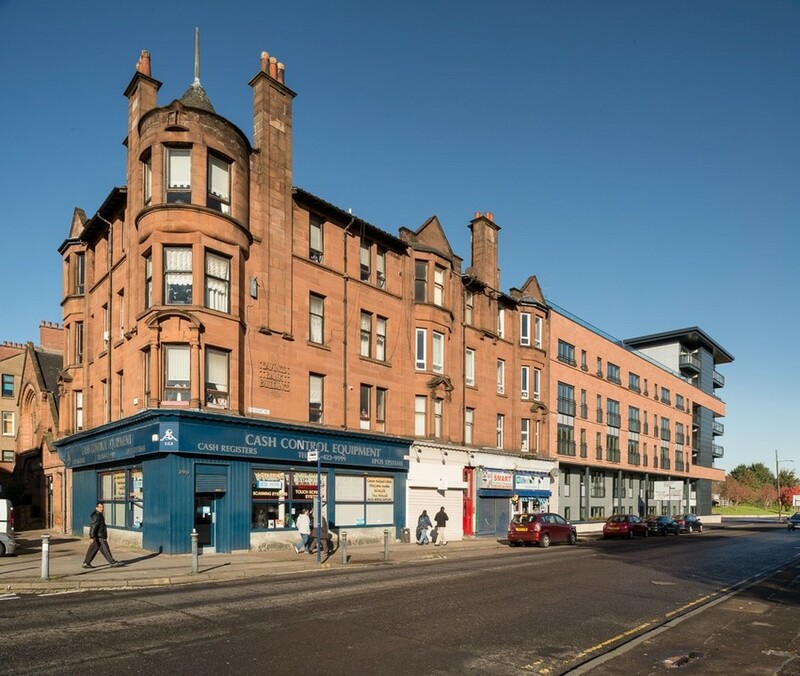 On Cathcart Rd the material palette, urban scale and density of the development attempts to restore and repair the city block.